Despite my admission to having recently made a quick packaged meal once or twice, I generally shy away from prepared foods when it comes to dinner time. But as much as I like to have a home cooked meal, we all need a little break once in a while. I was given the opportunity to try the new meal soup from Bertolli and I jumped at the chance because lets face it, even I don’t make soup from scratch. We had company in town so having this soup on hand was great. Dinner was done in 20 minutes and we could enjoy our time together. 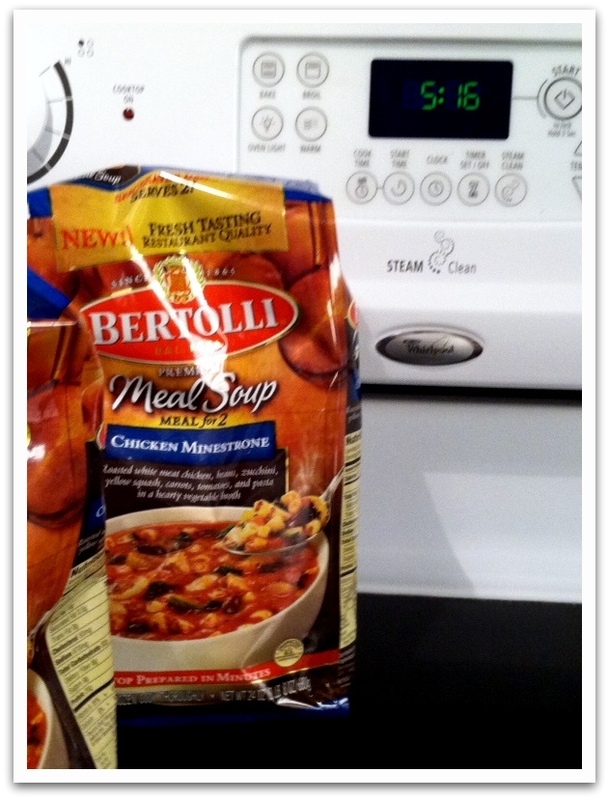 Bertolli meal soups are found in the freezer section. As soon as I learned this it was an instant plus because the vegetables are fresh and not like their mushy canned counterparts. 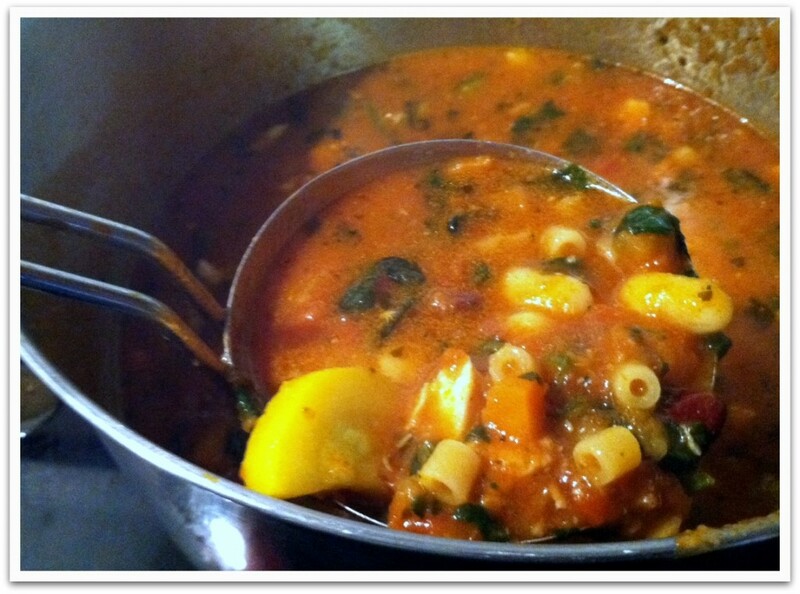 I decided to try the Chicken Minestrone for our family because it was the lowest in sodium. We’ve started to watch our sodium and soups are notoriously high (this one ranks at 870mg/serving) so I try to pay attention. 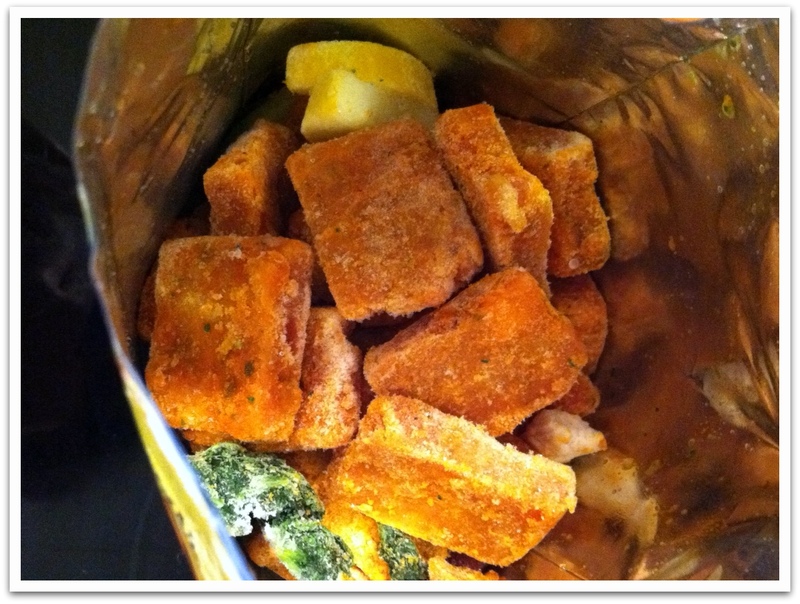 When I opened the bag I was immediately impressed with the large chunks of vegetables and sauce cubes. Since Jerry’s mom was in town I made 2 bags but one would definitely be enough for just us. All you do is add water and simmer for a few minutes. Just long enough for our bread to toast! Very fast, easy and delicious. We even got Oscar to taste the broth and he liked it. However, he doesn’t “do” veggies right now so he opted for peanut butter and jelly. The rest of us really enjoyed this soup and I could definitely see getting it again for a busy week. The price is a little steep (on sale for $5.99 right now at Target) but definitely tasty. Bertolli meal soups come in 4 different flavors (Chicken Minestrone, Roasted Chicken & Rotini Pasta, Tomato Florentine & Tortellini with Chicken, and Tuscan-Style Beef with Vegetables). I plan to try the Tortellini next. Check out some of the other soups by following Bertolli on Twitter and Facebook. Have you tried Bertolli Meal Soups yet? Disclosure: I was provided with the above item to facilitate my review and compensated for my time in this Weeknight Meal Special Challenge. All opinions are my own. Thanks for reading! I have never tried the soup, but I love their meals. Certainly a very quick meal that doesn’t taste packaged at all. The price is quite high though, I agree. we tried this flavor as well. Just bought another bag today, perfect to enjoy on a cold afternoon! I tried it for the first time last night, and it’s easily the best store-bought soup I’ve ever eaten. I’ll be eating an awful lot of this soup in the future. 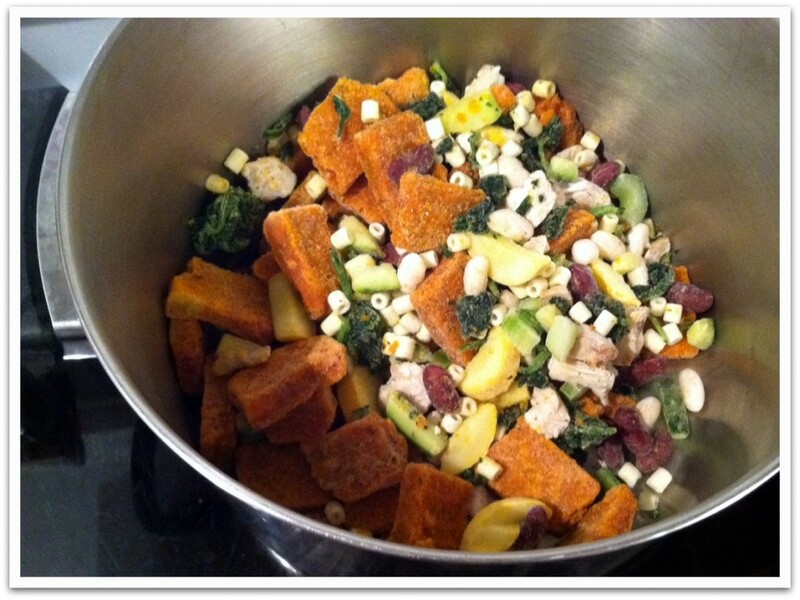 The flavor is outstanding, the vegetables crisp and tasty. Just takes a few minutes to prepare, too.